Empress Miniatures präsentieren diverse Neuheiten auf Facebook. Some new releases for our Interwar/ early WW2 Brits range. Firing line and advancing poses. Looking pretty cocksure of themselves. It will all go wrong pretty soon, I have read the script. Some new AZW releases. 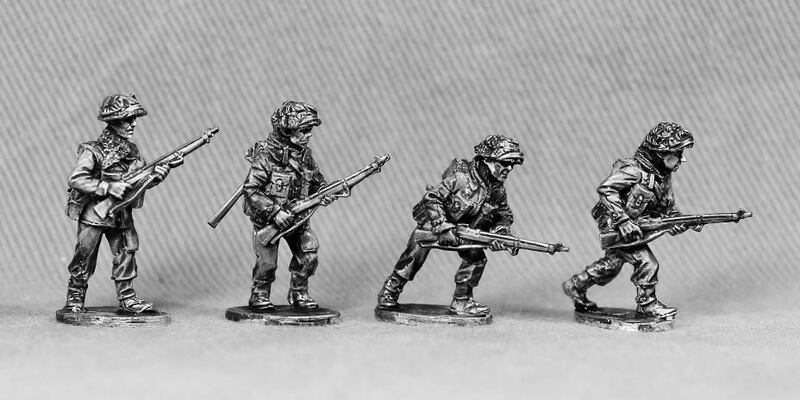 Two more packs of 91st Highlanders to pad out your battalion. Well justv when you thought that you had had enough excitement for one day here is some more. Late war British wearing their leather jerkins, cammo suits and assault helmets.